Did you know that you can help the Torrance Cultural Arts Foundation earn money from one of the largest online retailers just by shopping (and without having to donate yourself)? When you shop online at AmazonSmile, you can support the Torrance Cultural Arts Foundation at the same time. All you have to do is start at smile.amazon.com, choose TOCA as your designated charity, then shop as usual. That’s it! For every eligible purchase you make, Amazon will make a donation to TOCA. 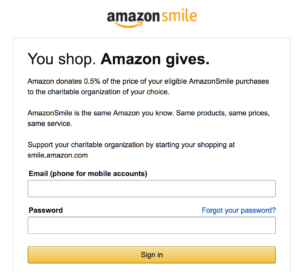 Visit smile.amazon.com to sign in, choose a charity, and shop. Easy peasy! AmazonSmile is Amazon.com’s way of supporting communities and charities all over the country. 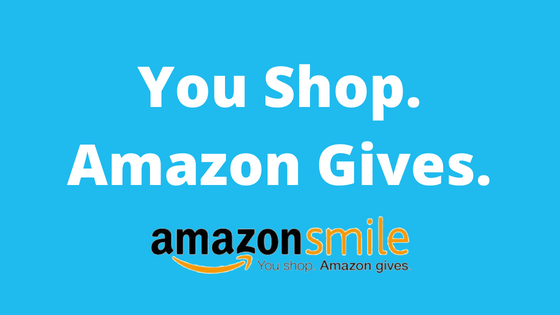 When you visit smile.amazon.com and pick a charity, 0.5% of the purchase price of eligible items will be donated to the organization you’ve chosen. This is all taken care of automatically through your current Amazon account – and it doesn’t cost you anything extra. You sign in with your current Amazon account to smile.amazon.com, then shop as usual. Nope! That’s the beauty of AmazonSmile. You just visit smile.amazon.com, shop like you normally would and Amazon makes the donation. No extra cost to you – or the charity. Just type in “Torrance Cultural Arts Foundation” and you’ll be all set to shop! When you first sign in to smile.amazon.com you’ll be asked to pick a charity. There’s a search bar at the bottom where you can type in your charity of choice (like the Torrance Cultural Arts Center Foundation). Once you find the charity you’re looking for you choose it and voila! You’ll rack up the donations while you shop! Are All Items on Amazon Eligible for AmazonSmile? According to the FAQs, “Tens of millions of products on AmazonSmile are eligible for donations.” As you shop through smile.amazon.com you’ll see items that are eligible marked with “Eligible for AmazonSmile Donation” on the product page. When you add those items to your cart and purchase them, AmazonSmile will automatically donate to your chosen charity. Do I Have to Go to smile.amazon.com? Can’t I Just Shop Like Usual Through Amazon.com? Yes, each time you shop you’ll have to start at smile.amazon.com in order to earn money for your charity. Unfortunately, making purchases through Amazon.com, or your Amazon phone app, won’t earn donations. Simply bookmark smile.amazon.com on your computer and mobile device and start there when you need to shop! You see? It’s a win-win! You get great deals online, and a deserving charity gets a donation from Amazon.